RTI Surgical® Wins 2018 <i>Orthopedics This Week</i> Spine Technology Award for TETRAfuse® 3D Technology - RTI Surgical Holdings, Inc.
LOS ANGELES – September 25, 2018 – RTI Surgical, Inc. (Nasdaq: RTIX), a global surgical implant company, announced its TETRAfuse® 3D Technology won a 2018 Spine Technology Award from Orthopedics This Week, a widely read publication in the orthopedics industry. RTI will accept the award at the North American Spine Society’s (NASS) 33rd Annual Meeting taking place September 26-29, 2018, in Los Angeles and will be featured in upcoming issues of Orthopedics This Week and Orthopedics This Month Spine. 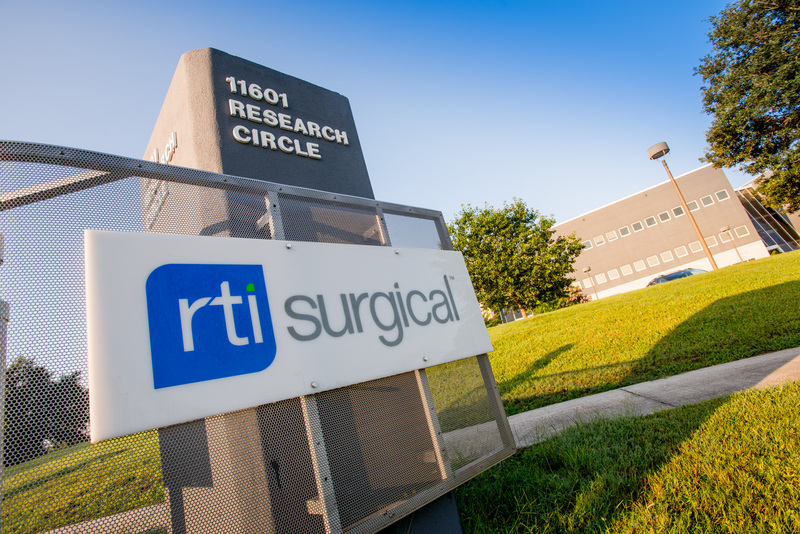 RTI Surgical is a leading global surgical implant company providing surgeons with safe biologic, metal and synthetic implants. Committed to delivering a higher standard, RTI’s implants are used in sports medicine, general surgery, spine, orthopedic and trauma procedures and are distributed in nearly 50 countries. RTI has four manufacturing facilities throughout the U.S. and Europe. RTI is accredited in the U.S. by the American Association of Tissue Banks and is a member of AdvaMed. For more information, please visit www.rtix.com. Connect with us on LinkedIn. [i] Data on file at RTI Surgical, Inc.
[ii] Data on file at RTI Surgical, Inc. Performance data from animal studies may not be representative of performance in humans.